Great to see the mojo back. Loving the 'love'. It does look like your mojo is well and truly back and hope it sticks around. I have been meaning to make one of those LOVE blocks for a cushion for ages - perhaps you have inspired me! Glad you were having fun in the sewing space again! Those postage stamp quilts scare me silly! Exciting you have a couple almost ready to baste and quilt up! Looks like it's coming back Jennifer! I'm getting in the swing of things too, just started something yesterday with the leftovers of Pretty Little Things from the fussy fairytales quilt, and it felt good to get cutting again! No sewing yet, but today hopefully, though I also have work to do. We'll see what ends up being priority. ha! The mojo is definitely on the return! Uh, yeah, definitely think you found it again! 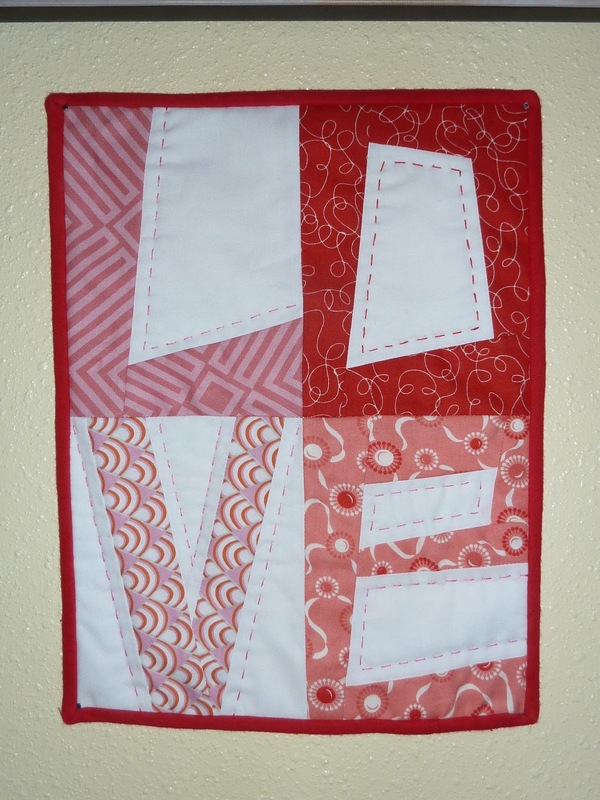 Your love quilt is great. I've been trying to think of a valentine's project for this year, and something like that just may be it! I love the last quilt. is there a pattern for it somewhere?